Towns across Cork have been awarded funding through the Department of Rural and Community Development for Tidy Town Committees. Tánaiste Simon Coveney has welcomed the allocations of €145,000 for Cork towns, particularly for the 60th anniversary of the Tidy Towns competitions. Speaking at the announcement of the €1.4 million in funding for Tidy Town Committees, Tánaiste Simon Coveney said, “This investment by the Government will directly support the local Tidy Towns groups. These volunteer led community initiatives bring out the best in our towns and villages. This competition really shows us the importance of participation. 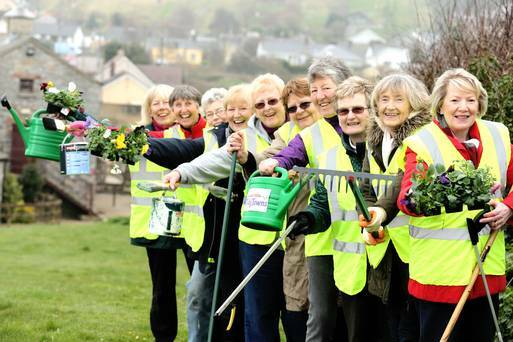 Our local Tidy Towns volunteers are a credit to our community. I encourage anyone who feels strongly about our community and our environment to get involved with Tidy Towns”. “I have no doubt that towns and villages across Cork will benefit hugely from this investment. Wherever you have active Tidy Towns committees, it gives the place a real boost and creates the environment for tourism,” Minister Coveney said.